In business since 1989, Best Upon Request is a certified Minority and Women Business Enterprise, and Corporate Plus® Member of the National Minority Supplier Development Council, providing on-site concierge services to organizations nationwide. BEST helps employees save time and decrease stress, resulting in increased engagement and commitment to their employer. For healthcare clients, BEST also takes care of patients’non-medical needs to improve the patient experience. With more than 50 on-site offices in 11 states, BEST serves customers in 20 states and Puerto Rico. An organization’s mission, vision and values are its foundation. At Best Upon Request (BEST), it’s our values that define our behaviors which drive our culture, which creates successful performance. Performance is how we think, how we measure, how we plan and how we execute. Our mission, vision and values created standards of behavior that guide us as we unleash the potential of each day for our customers, our clients and one another. To unleash the potential of each day. To be recognized throughout the world for creating life-enriching experiences. We are transparent, authentic and reliable. Our words match our actions, we own our mistakes and we have our customers’ best interests at heart. We delight those we serve by creatively anticipating their needs. We are solution providers and optimize our resources. We are experts in showing empathy, providing relief and enriching each other’s lives by being servant leaders. We serve eye to eye, heart to heart. We live out our continuous improvement philosophy by being accountable and achieving our metrics. We are strategic partners for our clients and experts at delivering the BEST customer experience. We exceed expectations and impact culture to become invaluable partners for our clients, customers, team members and communities. Geographically, we are able to provide services anywhere in the United States. From California to Connecticut and everywhere in between, BEST recruits, hires, trains and manages professional concierges from within your local market. 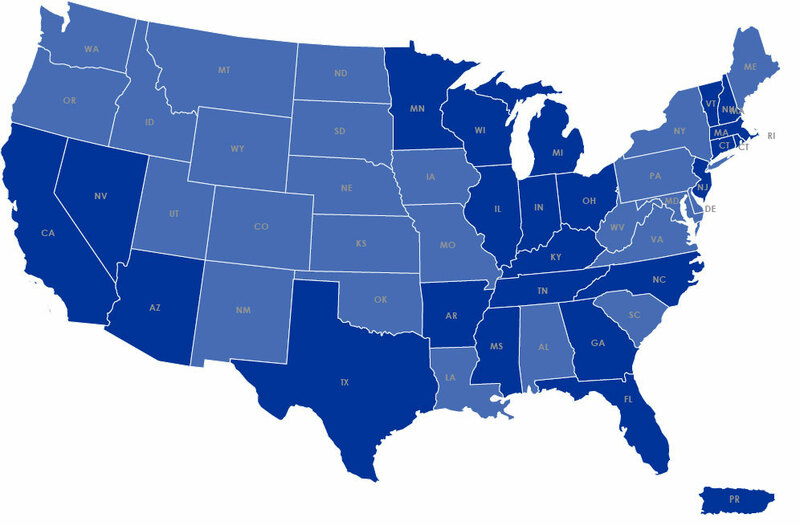 Here is a snapshot of the states where we currently have an onsite and virtual presence. Best Upon Request is committed to improving the quality of life in the communities we serve. 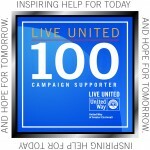 We actively support non-profit organizations such as United Way and YWCA. Our IMPACT (Improving More People and Communities Together) Team organizes volunteering opportunities and other charitable initiatives at our corporate office. Examples include donating items to the Ronald McDonald House, hosting a birthday party for children at Visions Community Services and volunteering at the YWCA Battered Women’s Shelter. We’ve also partnered with Adopt A Class, a non-profit organization that facilitates personal connections between members of the business community and students. Team members are encouraged to give back to the community with their time, talent or treasure. Since 2008, we have participated in United Way campaigns and have been ranked on United Way of Greater Cincinnati’s Pacesetter Companies list multiple times.